This past summer I purchased a book that I just had to share with you. I remember after first receiving it how different it was from all others I had. It was a nice thick hard bound book with sepia colored pages and the chapters were divided with a translucent style paper (like you see in formal invitations). The lettering of the words printed on the pages was a mix of old fashioned typewriter style and hand-written versions. The book is about the lives of the owners of a store called "i gigi" located in England. It's about how they met and the friendship they carry still today. 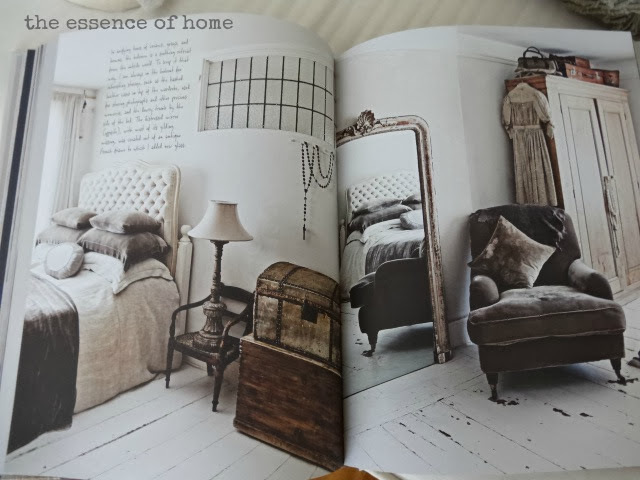 It showcases rooms from their homes and their store. It also has some surprises in the book which I will show you at the end of this post. 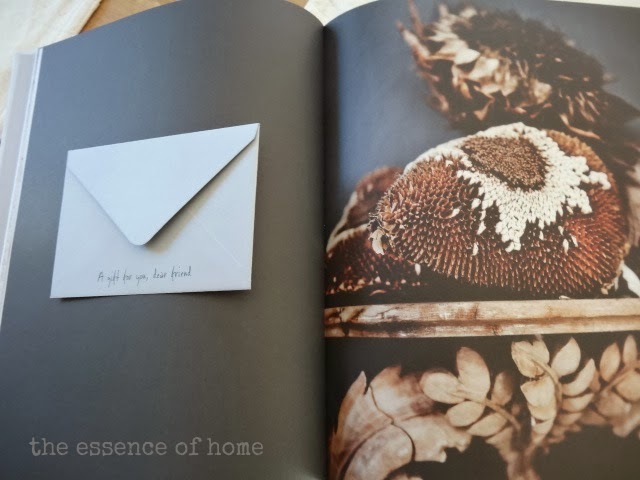 Here are some beautiful photos from the book. As I was flipping through the book, I noticed a couple of pages that had envelopes stuck to them. It said there was a gift inside for me! 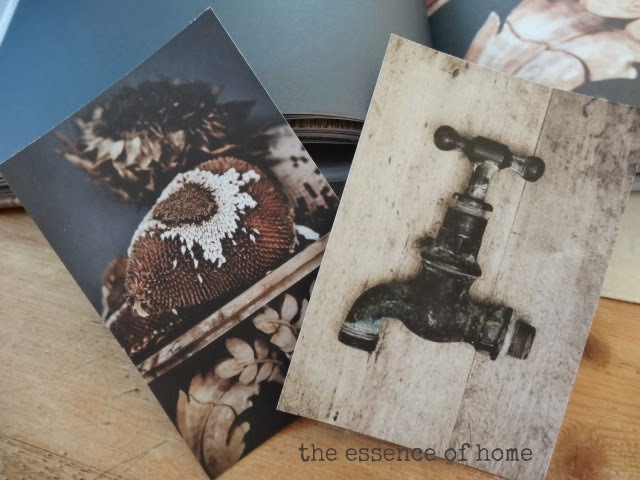 It turned out to be a little postcard with the image you see on the opposite page. So I have two of these now! It's such a good book. 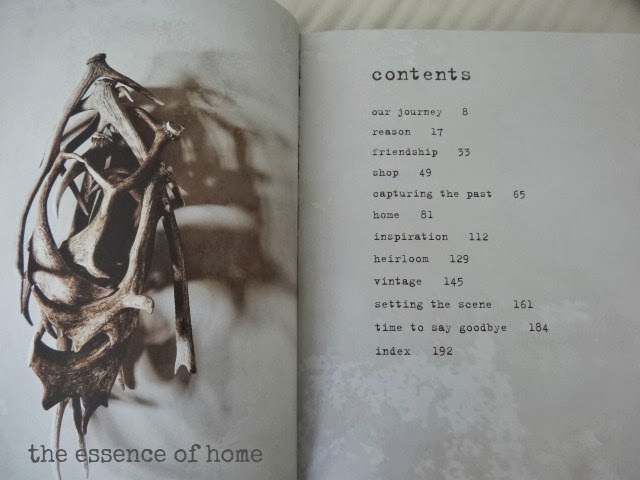 It's really more than just a home decor book. I actually read the whole thing because it has a story of their friendship in it. So, if you get a chance, and you're out and about shopping for books, pick this one up and flip through it. You'll see what I'm talking about. It's a real visual treat! Beautiful Kelly and what a nice surprise...they would look great framed! That looks like a beautiful book! I love the old typewriter style print too. How neat that you got a little surprise in that envelope! You could even frame those postcards. Such pretty pics! 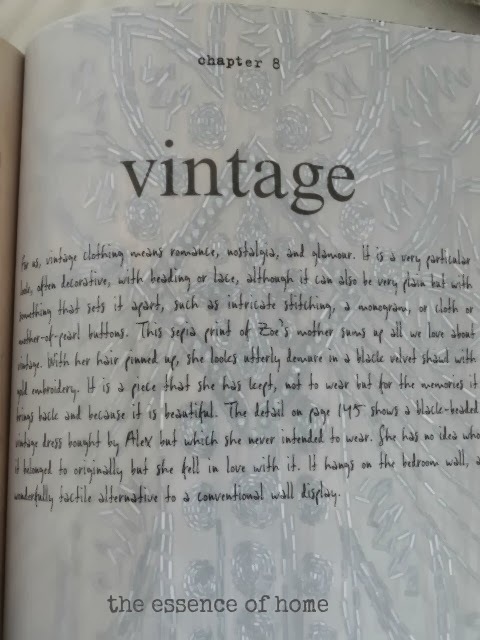 Kelly- what a pretty book. I am actually in the market for a few new coffee table books so the timing is right on. This looks like a book I would love to have to peruse over and over again! Looks like an interesting read. Thanks for sharing! It looks like a wonderful book Kelly. I will see if I can find it at our local Barnes and Noble. Gorgeous photos in the book! i saw this one recently while browsing at my local bookstore. i flipped through the pages and was so delighted to find the secret envelopes tucked inside. i'm sorry i left it behind. it has been calling my name ever since and now, after seeing this post, i think the message is quite lear...i need to make one my own. lovely...sigh. Looks gorgeous-I'm going to hunt for it! What a beautiful book and I think the post cards framed would be so great. 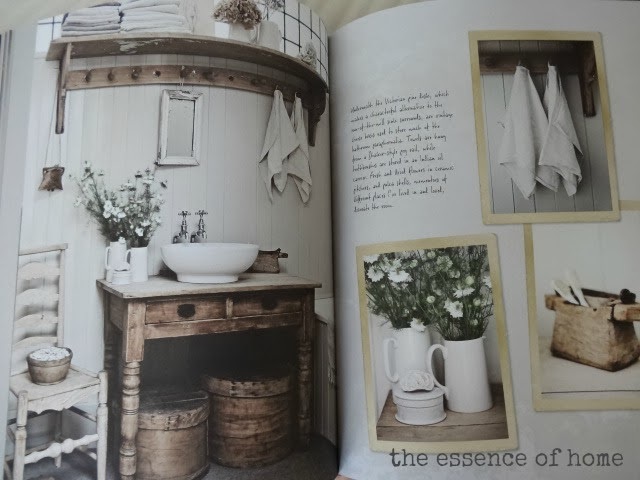 Love the pictures you showed from this book so pretty. What a neat book, it really is quite different and that makes it appealing. I have to look for it. Thanks for letting us know about it and passing it on! 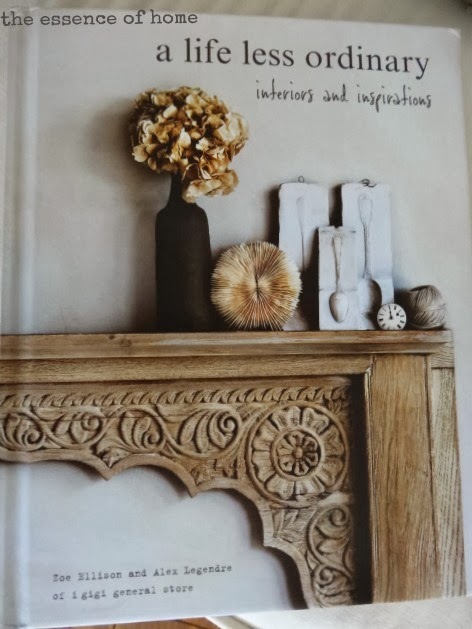 I can see why this isn't considered just "any" decorating book. It looks like a work of art. Thanks for sharing! 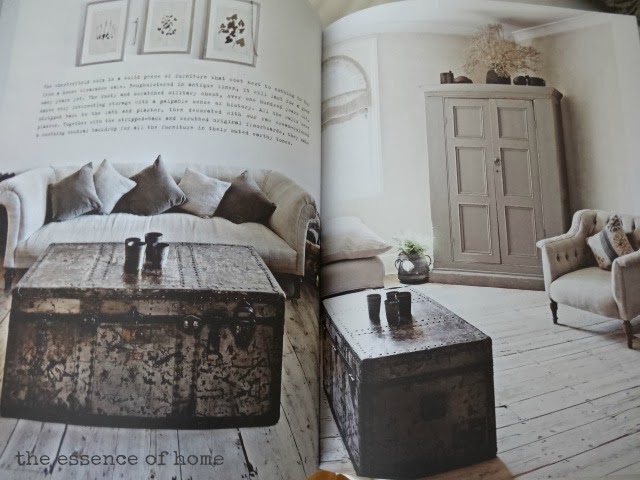 Sounds wonderful and what a great combination of a great story and great decor to see! Thanks Kelly! Looks like a wonderful book. I think I need to add this one to my wish list. Kelly what a pretty book and thanks for sharing all those beautiful pictures. I love what you did! What a lovely book! I need to find that one for sure! I am adding that book to my Christmas wish list.